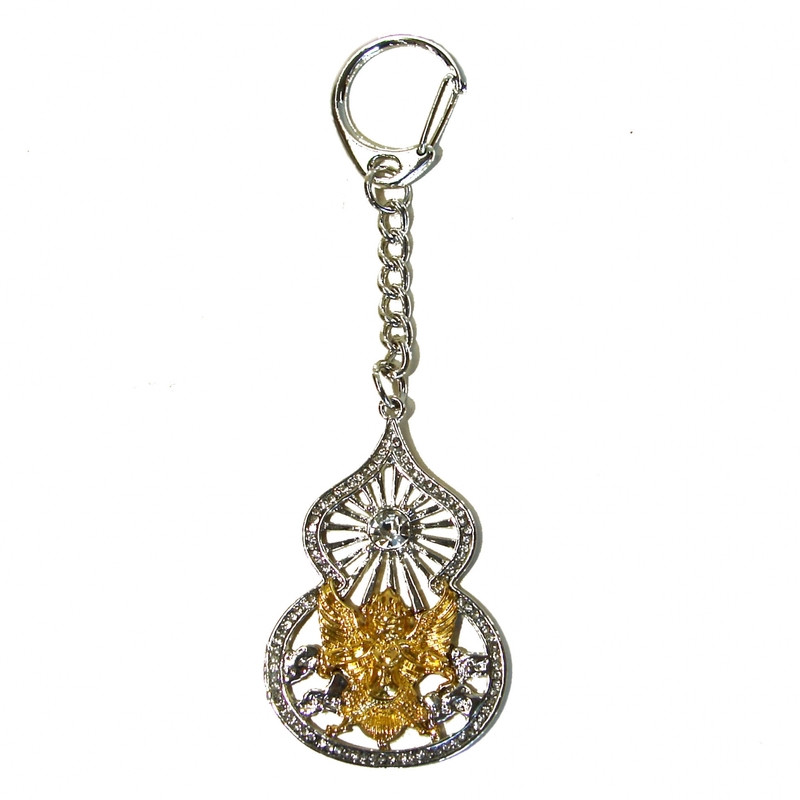 Featuring of one golden Garuda in the center and clear crystals on the edge, this Garuda Wu Lou keychain amulet is one of the best feng shui cures to dispelling illness, hindrances, obstacles, and negative chi. You can carry such Garuda Wu Lou Keychain Amulet with you all time or hang it in the west in 2018 to alleviate the effect of the sickness flying star #2. 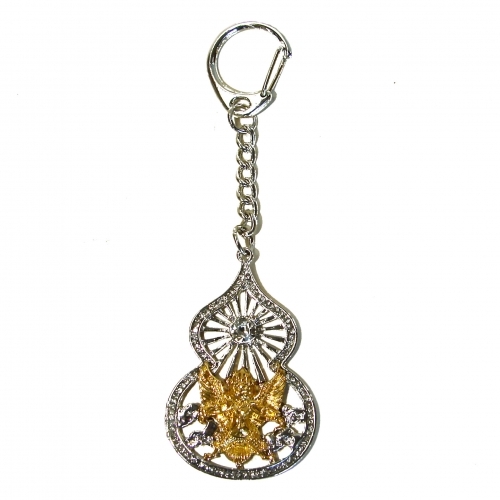 The dimension of the Garuda Wu Lou Keychain Amulet is approx. 4.25" x 1.375" x 0.125". It is made of alloy.